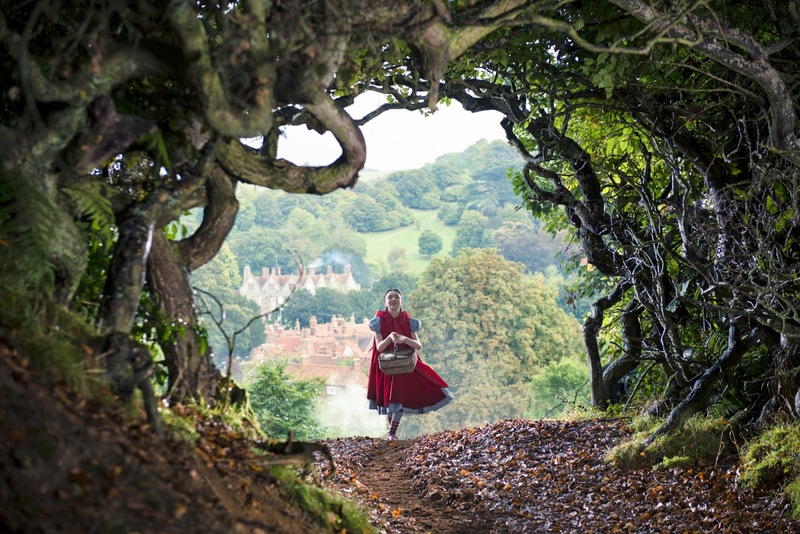 Do yourself a favor on Christmas Day (or anytime after) and go see Into the Woods, a Disney film musical adaptation of a Stephen Sondheim musical based on the book by James Lapine. couple, who run a bakery, seeking the aid of a witch in order to break the curse that is keeping them without children. In order to break the curse they must gather things from several storybook and Brothers Grimm characters. This action filled scavenger hunt occurs in the woods nearby where all of these characters live. The couple encounter Cinderella and her prince to be, Rapunzel and her prince to be,Little Red Riding Hood (with Johnny Depp as the Wolf), and Jack in the Beanstalk. The cast pulled together exhibit strong performances and handle the difficult Sondheim melodies and lyrics quite wonderfully. There are a couple of really great young voices in Lilla Crawford as Red Riding Hood (who played Annie in 2012) and Daniel Huttlestone as Jack in the Beanstalk (who we saw in Les Miserables as Gavroche). Ms. Crawford has quite a set of pipes and really would make Sondheim proud! We are reintroduced to the amazing talents of Tracy Ullman as Jack's mother after what seems too long of a time off the main grid. delightful called "Agony". They dance, prance, pose and basically act like peacockian drama queens as they sing of the woes women bring. You can't miss it and it is worth the price of admission. Emily Blunt plays the Baker's wife while Anna Kendrick (Pitch Perfect) plays Cinderella, with Christine Baranski as her not so nice stepmother. . Both young ladies light up the screen and sing their parts effortlessly as two women who both want that true love and family but end up very differently than we expect as the film progresses. There is some darkness in the story and in the woods itself after all. Sondheim musicals are musically difficult ro perform and quite wordy. A lot is said in a short period of time and most is within the lyrics of the songs. This film has a great deal going on. This score has lessons within the lyrics so listen for them. There are some scary moments involving a giant and his wife, and there are some unexpected sad and tragic moments that remind us that not every fairy tale has a completely happy ending. Trouble and unwanted things can happen based on what one wishes for and pursues. Decisions have consequences. There is always a legacy that we pass down to our young ones. Responsibility grips us all in one form or less. These are just a few of the lessons brought to light via several delightful numbers. While it seems there are 5 or 6 stories being carried out simultaneously, they interact and play off of each other very much like the characters all do. AFI has named the film one of the top best films of 2014. While it has undergone many casting changes over time, the final cast is a wonderful ensemble. It was filmed in London and was directed by theater and film director Rob Marshall (Annie, Nine, and Chicago) who also happens to be an award winning choreographer. His eye for movement shows in his direction as his characters come to life on the screen, singing and sometimes dancing through their numbers. But each performer possesses the ability to also capture our attention via their movements and body language, which often times speaks almost as much as the lyrics do. Into the woods is just a fun and entertaining romp that will genuinely add to this holiday season. Enjoy!